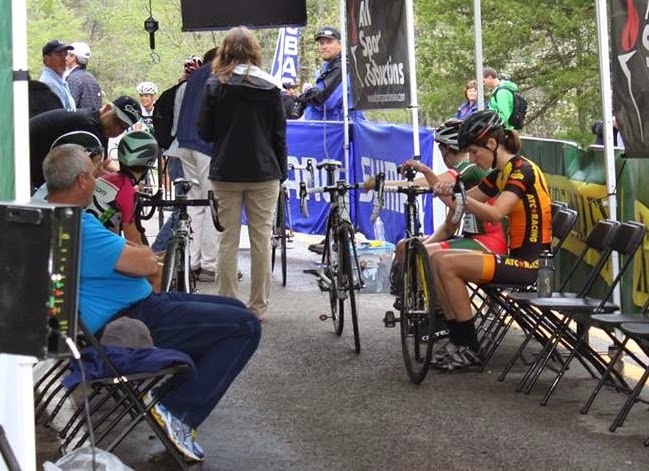 Continuing our effort to put women’s racing in the spotlight, ATC Racing members Marla Briley and Katie Kantzes write about how they found their way into the sport and what it means to be competitive cyclists. Marla making a solo attack at the Driveway. Marla, co-captain of ATC Racing and long-time triathlete, is one of the founding members of the team. She and her boyfriend, Kent Snead, are the team’s biggest behind-the-scenes supporters, both in terms of sponsorship dollars and devotion to day-to-day operations. Marla and Kent sponsor the team in the name of GSP Rescue, the German shorthaired pointer dog rescue organization that Marla helps run as president (alongside her full-time data-wrangling job!). As a teammate, Marla is pure gold, always willing to use her talent on the bike to selflessly and aggressively work for the team win. 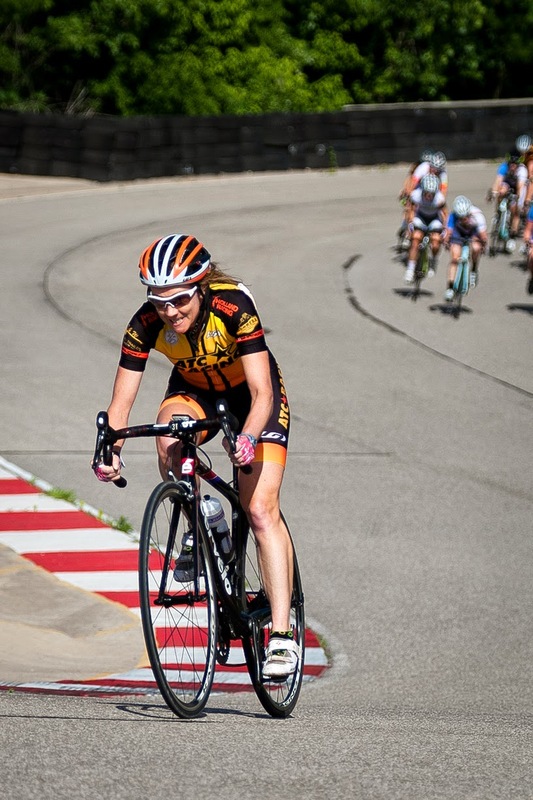 She’s now back to biking, running, and racing at the Driveway Series after ACL surgery in November 2013. Katie, who’s working on her masters at the University of Texas in public health epidemiology, is the newest member of the team, joining at the beginning of 2014. A mean hill climber, she’s a veritable aristocrat of the local Strava scene, with 273 QOMs to her name. Those who don’t Strava will probably know her as the girl who doggedly hangs on to the hardest Austin group rides, often with a smile on her face. Marla and Katie were willing to share photos from their earliest days in cycling. Pictured below on their first bikes, they would have many, many more miles of riding in their future. In 2000, I went to work for Bike.com. I knew nothing about bikes and came to the job through the IT department. I met a few of the guys in the back. These cyclists turned phone support were the “real” bike guys and actually had intelligent conversations with prospective customers. I conducted Q&A on our site to make sure it wouldn’t crash if someone actually visited. I thought it would be a good idea to buy a bike; I mean, I got the bike at cost, and would maybe, through owning a bike, better understand the jargon and lingo everyone was talking. Of course the only brands we carried were Giant and Schwinn. I decided on a Giant. The guys in the back helped me pick out one that would fit me and my budget. When it arrived, they made sure to remove all reflectors (they could not have me looking like a Fred) and outfit it with clip-in pedals (which I had no idea how to use). One of my first rides, a 20-mile jaunt through the Austin neighborhoods with one of the “real” bike guys, left me so tired and dehydrated (I had not learned how to ride and drink at the same time) that I cramped up and fell over at a stoplight. That is how I came to the bike. What amazes me is how the bike has shaped my life. In 2001, a friend convinced me to join a Team In Training group. We raised money and awareness for leukemia while training for a 100-mile bike ride around Tahoe. During that adventure I met one of my longest running friends who helped me get an awesome job at the company where I still work. Also, I made a friend, who became a training partner, who later became my much better half. After Bike.com went the way of most dot-coms, I decided the only way for me to keep the bike out of mothballs was to have a goal. I had always enjoyed running and had even swum on the JV team in high school, so why not triathlon! I joined a local training group, and they helped me prepare for my first 70.3. From there I went on to complete multiple half and full Ironman races. These races and adventures have brought me the best memories and experiences of my life. In 2011, I was invited to join an all-women’s cycling team. I have learned so much about myself through road racing and being a part of ATC Racing. I have learned how much I enjoy racing on a team and not just for myself. I have realized I like to be in control of my surroundings, and I need to be okay with it when I’m not. I have also found out that I’m not as tough as I thought I was, but I’m braver than I give myself credit for. With the help of my amazing teammates and my coach Gray Skinner, I am continuing to grow as an athlete and, hopefully, become the best cyclist and teammate that I can. Between racing and training, cycling is a huge part of my life. It shapes most of my week. There are the everyday training rides and every Thursday, from spring till fall, the chance to race my bike at the Driveway. My boyfriend and I spend many quality hours riding our bikes together. We even plan our holidays around new places we can travel to ride our bikes. All these things I have learned, all of these amazing people I have met, the friendships I have gained, and where I am today—it’s all because I bought a bike. Katie on one of her first training rides in 2012. I mean, I wish I rode that fast. But even if I was slow as hell, I’d still ride. The draw of bike riding and racing is less explained and more easily experienced: it’s something that develops over time, as many things of value. It certainly took time for me. Even though it seems like a straightforward sport (you just ride in a straight line and try to not crash, right? ), I’ve found that I learn more and love the sport more on every ride. I first got on a bike three and a half years ago – if you count the spin bike in my then-boyfriend’s gym. I had just sprained my ankle after my first half-marathon. Prior to that sprain, I’d had every injury in the book: chronic overuse in both calves, patellar tendonitis, pulled hamstrings. But the bike was fun. It was easy to go hard and not get injured. So I hammered away, indoors, for a year or so. When I braved the paved road I fell over at every stoplight because I couldn’t unclip. Once I could clip in, I got dropped on every ride. I told myself so long as I can see the group up the road I’m fine! But as I tacked on the miles, I got better. I learned to love hills and long endurance rides, and then last year I learned what it was like to do those long miles with the encouragement and unpredictability of a pack. As the basics (pedaling, drafting) became natural habits for me, I began learning how to read the pack, how to attack, and how to push my pain threshold. There are several things that attract me to racing: the nervous tick when lining up, the thrill of attacking, and the beautiful exhaustion that comes from an effort that was previously beyond you. The most rewarding aspect of riding for me has been the friends I’ve made on the road. I have never been so consistently surprised at the openness, companionship, and generosity of an entire community as I have been with cycling. The community is what keeps me riding more than anything else, and I’d encourage anyone with an inkling of interest to give it a shot. The start of the 2014 triathlon season is well under way now. 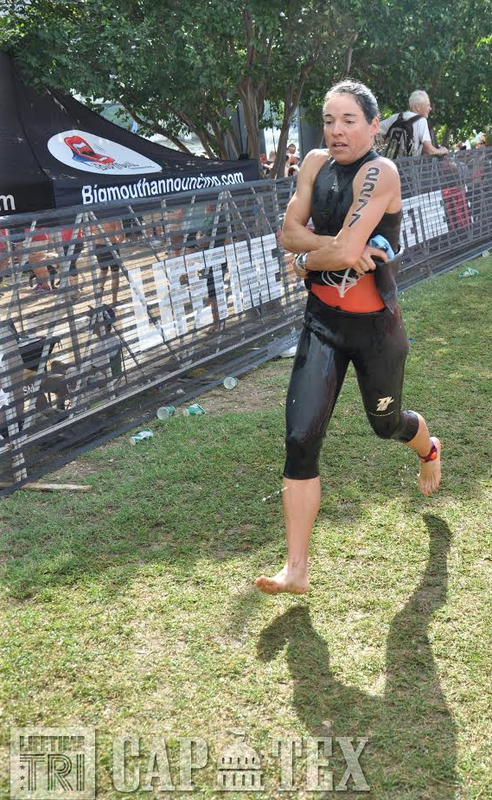 This is the time of year to consider using a wetsuit for some of the early season races here in Central Texas. Typically the wetsuit racing season for us is March to May, with another possible cool stretch in October and early September. 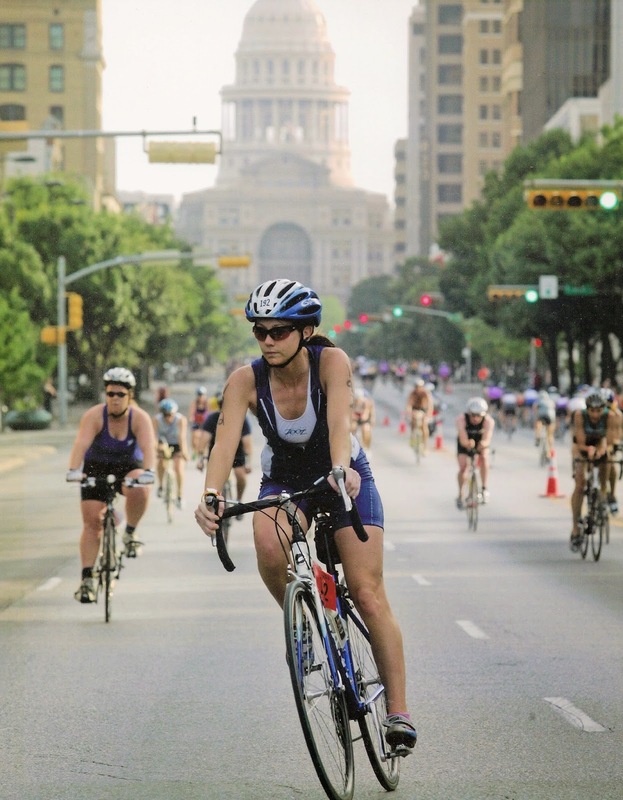 Many wonder whether it is worth the investment for such few races; however, some of the most popular events in Texas are held during these periods, including Ironman 70.3 Texas, CapTex, and TriRock Austin. At Austin Tri-Cyclist we currently carry Rocket Science Sports, DeSoto, Zoot, 2XU, and TYR, and we rent and sell many models. Below are some things to think about when deciding which way to go. We rent triathlon wetsuits for $30 for a weekend, which includes a Wednesday pickup to allow a swim or two in the wetsuit prior to the event. If the wetsuit is needed for two weekends, we charge $50. (Talk to me if you need a different schedule than what is mentioned here.) We have both full sleeve and sleeveless available for rent. We rent thermal swim skins as well, typically for $20, that offer warmth but not buoyancy. "What kind of wetsuit do I need?" Full-sleeve and sleeveless triathlon wetsuits, thermal swim skins, and speed suits are available for purchase at ATC. Most of what we have is the triathlon wetsuit. These are designed for warmth, yes...but also buoyancy in the water and speed. These are all about the same as far as warmth and buoyancy go across the brands. These wetsuits will be made of slick neoprene that is typically 5 mm thick (for the buoyancy). The full-sleeve suits will have 1 to 2 mm neoprene in the shoulders for flexibility. The sleeveless suits range in price from $195-275. The full-sleeve suits are $250-400 (or more) for most brands. We also carry what I call "thermal swim skins" by AquaSphere. These are designed to keep a swimmer warm, but they do not offer the buoyancy of triathlon wetsuits. Though also made of slick neoprene, thermal swim skins just aren't as thick (only 1 to 2 mm). This type of wetsuit is still flexible in the shoulders, however, and is much easier to get on! Thermal swim skins are most used by athletes wanting to swim in colder water (or for water sports activities – skiing, etc.) without the hassle and thickness of the triathlon wetsuits. We rent these as well, but since the price is $100-200, most customers purchase them. I have had numerous folks who do not like the tight, constrictive feeling of the triathlon suits use these for their triathlon/open water swim event. Another type of "wetsuit" is the speed suit or swim skin. These offer very little warmth or buoyancy, just slickness in the water. A swimmer would use this if the water temp is above the legal limit for a wetsuit (78 degrees) but still wants the slickness of a wetsuit. This is worn over a tri suit, just like a wetsuit. This type of wetsuit is available for purchase but not rental. "Should I buy a wetsuit?" Will you have the opportunity to train and race in the wetsuit? Having a wetsuit extends the open water swimming season. We have several good open water venues here, including Barton Springs, Quarry Lake, Lake Pflugerville, and Lake Travis if we get some rain (check out our 2013 post on five open water swim spots in Austin). An athlete could take advantage of these venues at least six months of the year if he or she has a wetsuit. (Not counting December-February or July-September). Usually, if you are going to be renting the wetsuit more than twice a year, it makes sense to consider a purchase. And certainly if you want some training time in the wetsuit (especially advised for full-sleeve suits), a purchase would be best. "How do I decide between full sleeve or sleeveless?" A full-sleeve suit is in most cases the faster suit. This is mostly due to the material being very slick in the water (slicker than bare skin). Water temperature is an important consideration. Wetsuits are allowed in races when the water temp is 78 degrees or below. Most people are warm enough in a sleeveless suit in water temps mid 60s and above. For low 60s and certainly 50s, a full-sleeve suit would be recommended. Some people may get overheated in a full-sleeve suit at a 77 water temp. Full sleeve can be a little tiring on the arms. A good fitting full-sleeve suit shouldn't feel restrictive, but it is like stretching a rubber band with every stroke. This should not be an issue if the athlete is proficient in swimming the distance without a wetsuit. The longer the swim leg of the upcoming race, the more the need to practice in the wetsuit. 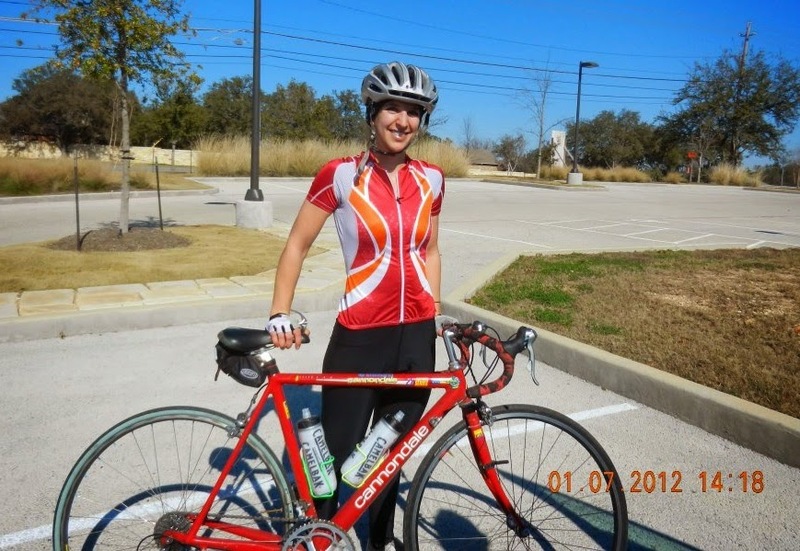 Missy Ruthven owns Austin Tri-Cyclist with her husband, Don. An accomplished triathlete and former professional duathlete, she has 25 years of experience in the sport. Her expertise in swim equipment (particularly wetsuits!) makes her a valuable resource for all levels of swimmers, from beginners to pros. 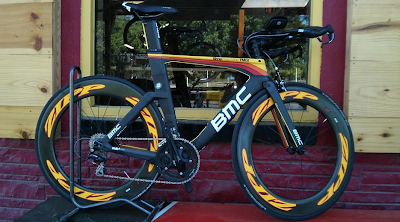 On Saturday, May 24, the weekend of Captex Tri, Swiss-based cycling company BMC will host a demo day from 8 a.m. to 5 p.m. at ATC Downtown Barton Springs. Check out the bikes and borrow them for an extended test ride. Go aero with road frames like the TMR01 and TMR02, or take the sick-looking TM02 Tri bike out on the open road. Mountain bikers will also have a selection of mountain bikes to try out on the trails; the Barton Creek Greenbelt is close at hand. Perhaps most unique is the electric-assisted commuter bike with a sweet name: The Stromer! With motor options ranging from 250 to 500 watts, you could commute to work faster than Taylor Phinney. 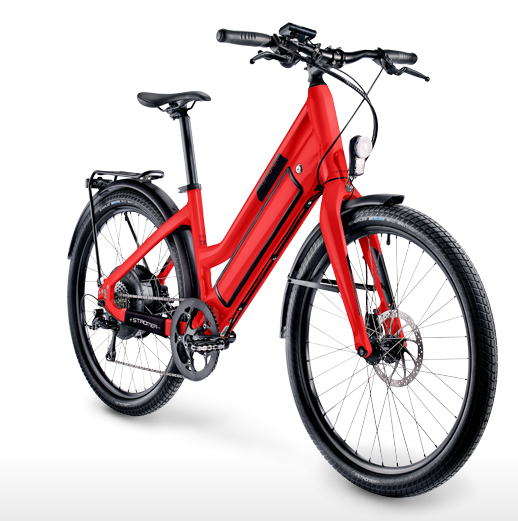 The Stromer's frame, components, accessories, and power system are customizable. Make yours lightweight carbon fiber, or a plush ride with a suspension fork. Add on the accessories that fit your lifestyle and commute, such as racks and fenders. BMC technicians will be on hand to fit you to the bikes; all you need to do is register and show up for a fun time. This time last year, I was in the last month of pregnancy. My off-kilter hugeness made an hour in the saddle feel like balancing an elephant on a toothpick. 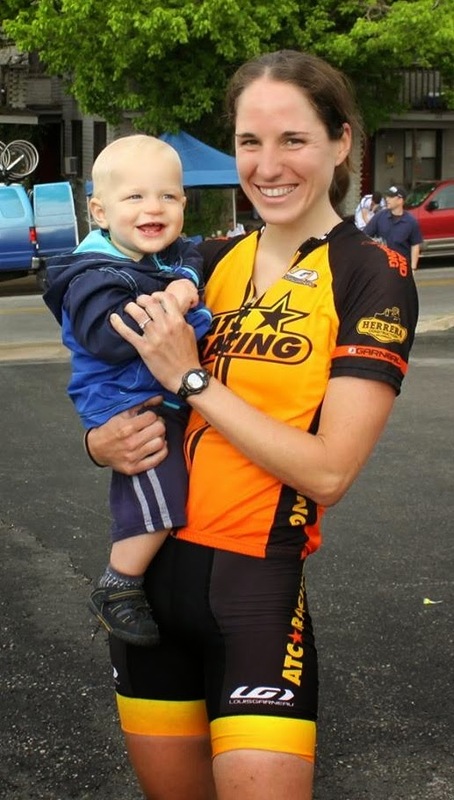 But even then, the Joe Martin Stage Race in Fayetteville, Arkansas, was on my radar—it would be the big race of my first season post-baby, the closest and least logistically complicated event on the National Racing Calendar. After my son was born last June, I put in more hours on the bike than I ever had before, especially during the winter off season. It was a way for me to get back in shape and to preserve a sense of self in the midst of motherhood. I was also working hard to prove a point. When you announce a pregnancy, your family and non-athlete friends will be overjoyed; your cyclist friends will offer the same outward felicitations, but you’ll see a sorrowful and wary expression in their eyes, as if you’ve contracted some lethal and possibly contagious flesh-eating disease. I wanted to show that athletic competition and child-rearing aren’t mutually exclusive, that kids aren’t the death of fun. When Theo was around six months old, I was making 15 watts more for most durations. As the baby weight came off, the extra power translated to a heady, superwoman-esque feeling. I could hang with moves with the guys on my regular Wednesday-morning group ride that had seemed impossible before. I had new, almost magical powers of recovery. Mandy Heintz of Haute Wheels Racing beat me in the sprint at all of the early season Texas races, but it was usually just her and me battling it out at the end in a two-woman break. At the Fayetteville (Texas) Stage Race in March, I won all three stages, and my TT time would have put me 15th in the men’s 2/3 field. However, I’d also unearthed some new demons. Whether it was my crash in August, my tendency to train alone, the hormonal differences of breastfeeding, or motherhood in general, I’d become cat 5 bad at cornering, descending, maneuvering in the pack, holding wheels...basically anything that involved having a proverbial pair. This made Joe Martin a big question mark. I knew I could do well in the time trial, but for the rest, I oscillated between thinking I could podium to worrying I’d get dropped in the first five minutes. The National Racing Calendar is a collection of pro races around the country. 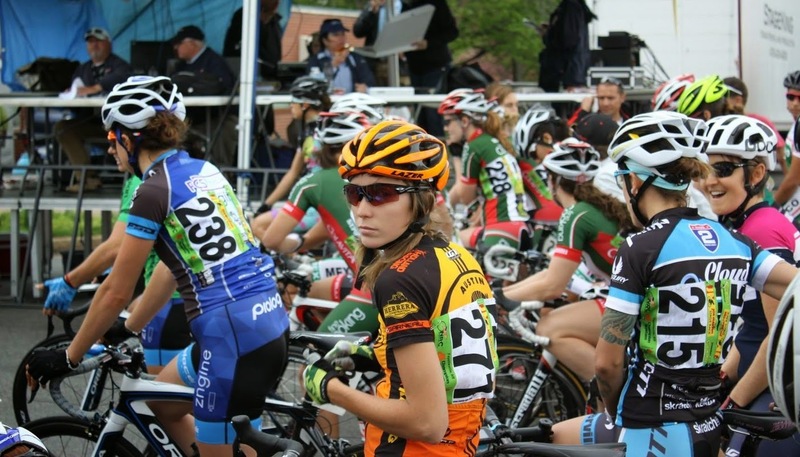 At Joe Martin, the pro women’s race is open to cat 1/ 2 amateur teams and individual riders. In 2012, as a guest rider for teams at the Gila and Nature Valley stage races, I’d come to know what to expect from NRC racing: the bells and whistles, the mix of pro teams from all over the country and world, the race caravan, the large field size, the rolling enclosures that give the peloton the full breadth of the road, and the pace—screaming fast compared to anything I’ve ever experienced locally. The talent-dense NRC scene gives you a new concept of a “strong” rider. Joe Martin, going on its 37th year, takes place in the Ozark Mountains of Arkansas. In April, the temperatures are mild, and the dogwoods and redbuds are blooming. It’s a beautiful setting. More than one person described the city of Fayetteville as “like the Austin of 30 years ago,” which for me conjures up the idea of a friendlier, less-generic hippydom with elbowroom. The team rented a house about 30 minutes south in the mountains near Winslow, where “remote” is something of an understatement. Big glass windows overlooked the hills beyond, and thick woods surrounded us on all sides. Our closest neighbors seemed to be a pair of wild turkeys. The drive from Austin was about eight hours. Playing the roles of team manager and team car driver, my husband, Jack, took five days off of work for the trip, and my mother came to stay for the week, as well, driving six plus hours from Nacogdoches to be the world’s most amazing babysitter. My ATC Racing teammate Sammi Runnels got her cat 2 upgrade the week before, which allowed her to enter the pro race with me. It was Sammi’s first-ever NRC event, and she would put in a truly impressive performance over the course of the next four days. Our teammates Lori Bergeron and Anne Flanagan, both cat 3s, signed up for the cat 3/4 and masters amateur races held on Saturday and Sunday. They also did a bang-up job, with Lori placing eighth in GC and Anne placing third in the 50+ GC and fourth in the overall masters GC. 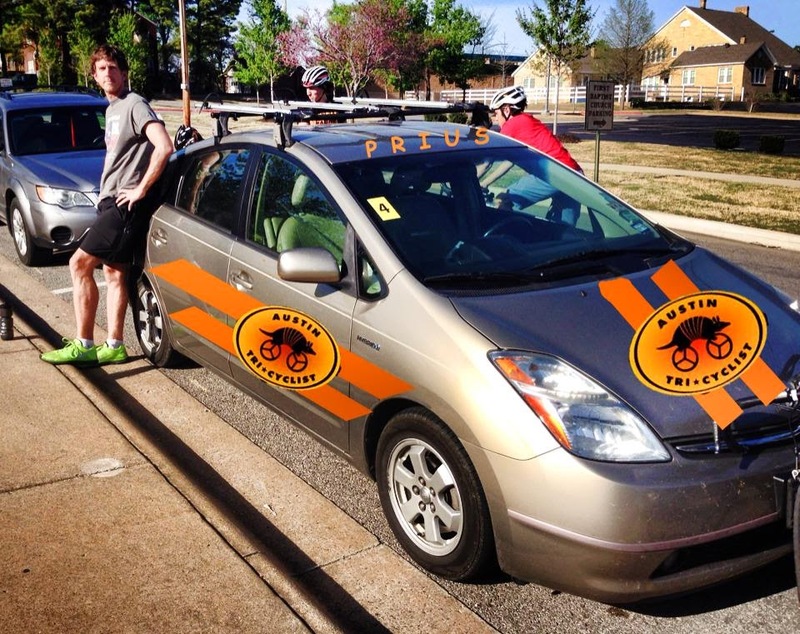 Bicycles Outback crafts a racing Prius with a little tech. So far from home, familiar faces from the local race scene almost felt like teammates, too; there’s a certain kinship in being in over your head together. 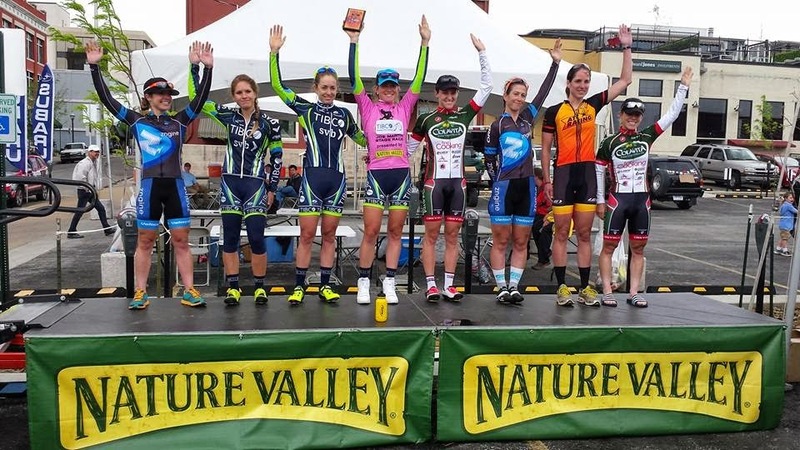 Ginny King (King Racing Group), Kim Jennings and Michelle Montoya (Bicycles Outback/Lifevantage), and the Haute Wheels squad of Mandy Heintz, Ash Duban, Allison Atkinson, and Danielle Bradley were there. The trusty Prius was on standby for carrying gear and bottles for the other solo riders and small teams. Day 1 - Time trial. The 2.5-mile TT starts at Devil’s Den State Park, with a steady 680-foot climb up an average 6.8 percent grade (10 percent in most places) to finish at the crest of the park road. The vast majority of riders use road bikes for the TT, and even my aero-obsessed husband agreed that here weight mattered more. (His ideal plan, given unlimited resources, would be to build up a TT bike that met the UCI minimum of 6.8 kilograms. ) Traversing into the enemy camp of weight weeniedom, Jack did what he could to shave down the grams. When I noticed my bar plugs were missing, I thought he’d gone off the deep end, but it turned out he was just worried that wine corks wouldn’t pass UCI muster. All said and done, with the heavy HED Jet 9 powertap wheel, the Boardman weighed in at 7.5 kilograms. I was slotted to start first. 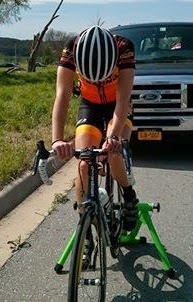 Holding my bike in the start house, I was one bright orange, pseudo-lightweight ball of anxiety. The pro riders under the tent were calm, chatting; I looked like a possum about to jump out of its skin and run the 100-meter dash. On the line, one official held my bike while the other counted off the last five seconds with his hand. Five, four, three, two, one... a sickening crescendo, heart in throat, a feeling like the guillotine coming down. But at the end of it, at last, came the opportunity to release all that pent-up nervousness like a balloon while the rest of me was propelled forward. The first few minutes always feel so good. I was supposed to start around 270 watts—the first 0.2 miles are downhill—and then push it up to 320 for the steepest parts, 300 for the rest. I started out a little too hard, and it caught up to me later. The middle of a TT is always the most difficult—the initial jolt of adrenaline has faded, and the end still seems impossibly far away. Doubt creeps in and tells me I can’t hold the numbers. The park road twists through forest, dogwoods standing out in stark splashes of white in the understory. I recommend a preride of the course so you can appreciate the scenery. Day of, I just watched the powertap screen and counted the turns. As I came up the last steep rise to the line, I felt like I had no extra kick to give, so I knew I’d done a decent job of pacing it. Going first ended up being a blessing in disguise, as it started raining just after my finish. Sammi’s start coincided with the worst part of the downpour. Jack & Theo at Devil's Den. I came in at 10:07 and 8th place, very close to the goal I’d set for myself. 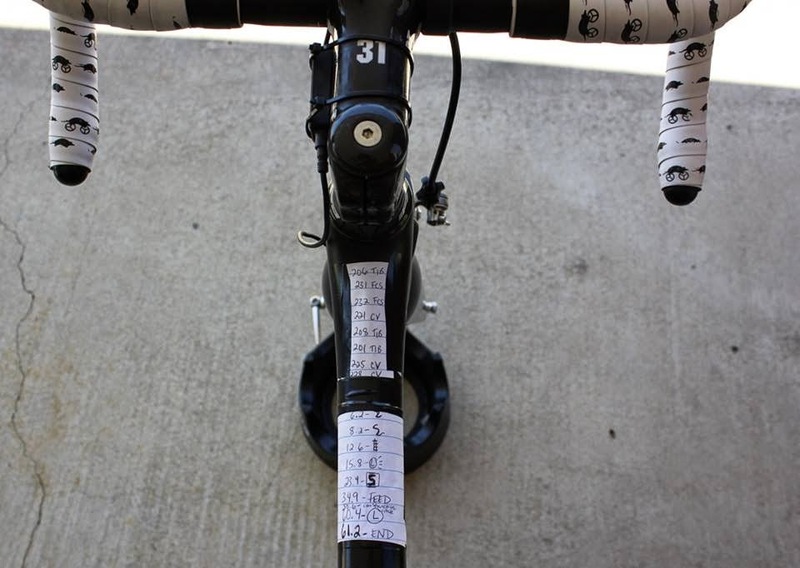 Sammi was 32nd out of 61 riders with a time of 11:25, with no power meter and very little prior TT experience. Mandy Heintz (Guru Cycles p/b Haute Wheels), my fiercest local competitor, had missed her start time by 30 seconds because of a saddle tilt issue, so was farther down than she would have been. Lauren Stephens (Team TIBCO/To The Top), whose hometown is Dallas, had the fastest time of 9:32, coming in six seconds ahead of world time trial champion and Olympian Amber Neben (FCS|Zngine p/b Mr. Restore). Day 2 – Road Race. The first road race had perfect weather, sunny and mild. For the men’s pro and 1/2 fields, the course was a 110-mile loop from Fayetteville. 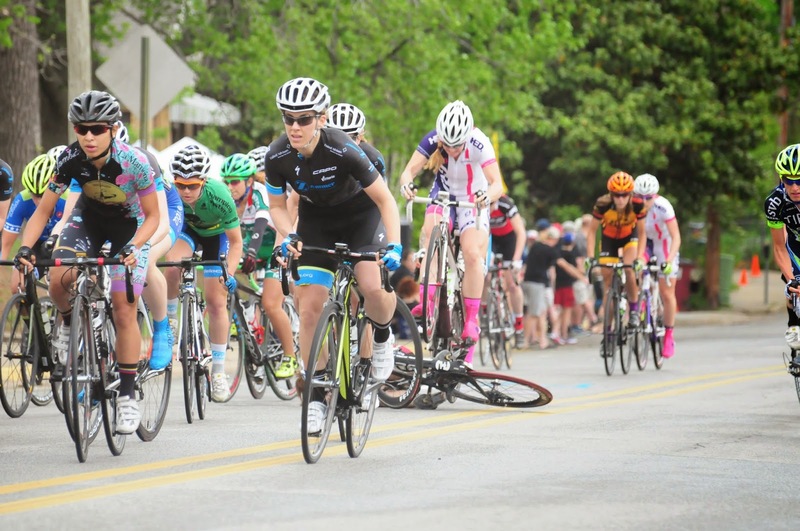 The women’s race was a point-to-point of 61.2 miles starting in Cedarville. The field was roughly 60 riders, which is average or even small for most amateur men’s races; compared to Texas women’s fields, however, it was quite a crowd. I found myself at the back as we rolled out for the neutral start. The peloton stretched all the way across the road, everyone already jostling for position, with the front row breathing down the bumper of the official’s car. Jasmin Glaesser (TIBCO), who had the white under-23 jersey from the day before and would hold on to it for the duration of the stage race, had a mechanical just after the start, so the neutral car held us back a little longer to let her rejoin. The car slowed almost too much, and the awkward inching forward—pedal pedal BRAKKKKKE pedal grumble BRAKKKKE pedal BRAKKKKE—had my anxiety levels back at their possum-out-of-skin levels. Eventually the pro riders came around me, and life in the peloton reverted to normal. I drifted fairly quickly back to my position in the rear, but now that I’d opened up my legs and convinced myself I could be up there, I was more relaxed. I knew that 22 miles in, there would be around 1,000 feet of climbing in 12 miles. That’s where the decisive move would be. I just had to be ready for it. The culling of the herd was more gradual than I’d expected. It just seemed like an endless upward slog, with riders popping off the back one by one. I was happy to see that Sammi had made the move and was hanging on with me at the back. When we finally hit a section that appeared fairly flat, I started to panic because my bike felt so slow and heavy. I was convinced I had a slow flat, and I was waiting for a moment when I could ask Sammi to give me her objective opinion. But then we hit another rise and Sammi was gone. I realized my tire wasn’t flat; this race was just very hard. Sammi was the last of the hardwomen to drop from the group—it was now TIBCO, FCS, Colavita, the Mexican National Team, Haute Wheel’s Mandy Heintz, and me dangling onto the back. Hanging on for all I was worth and absorbing the very different feel of the race, I wasn’t entirely aware of what was going on, but I could see Lauren’s pink GC leader jersey in our group, so I knew I was doing okay. In the final miles, all hell broke loose. Everything seemed to be moving at the speed of light, an organized chaos of the major teams attacking and covering and countering, but it was beautiful to see and to be a part of. The speed was higher than anything I’d ever experienced in a women’s race. A break of three finally got away in the final kilometers. I came in with the rest of the group for the crit-like finish through town. It was a left turn, a short jog to a right turn, and a small hill before another sharp right turn into the finish. My courage failed me. I was at the back for the first left and right turns, climbed the hill hard, and then sat on the back again for the final right, braking for it even though I was already well off the wheel in front of me. Though I’d bungled the finishing sprint, I was still very happy with the result: 12th place in the stage and now 10th in GC. That night we met up with Anne and Lori, who’d arrived for the weekend races. Before we headed back to our rustic accommodations, we ate at the swanky Green House Grill. While on the spendy side, the food and the service were great, with plenty of vegetarian options and a nice selection of all-local draft beers. Day 3 - Road Race. The second road race was 8.5 miles out to a 23-mile loop, which we were to complete twice before returning to the start/finish in Prairie Grove. The race had roughly the same amount of climbing as the previous day, but it was a series of rolling hills rather than the one steady grind. The roads were a little narrower, though still plenty wide enough and well paved. I’d been warned of one tricky descent, a fairly steep hill that ended in a hard right turn. It wasn’t as bad as I’d imagined, but it was easy to get gapped there if you hung too far back, since the turn was followed by another downhill. Before the start, Jack told me I was getting better at game face. I was feeling more confident, but the jitters were still with me. When I got on the trainer to warm up, I forgot to take my helmet off. The first move went shortly after the turn onto the loop and had a rider from each of the major teams. Michelle Montoya (Bicycles Outback) also made the move initially. They stuck it for a very long time, at one point holding on to a 4.5-minute gap. I was surprised, since Stephens and Neben, first and second in GC, were still with the main pack. But the pros have this kind of thing dialed in. They got down to business on the hilly section on the second lap, pushing hard to catch their own riders to preserve the GC lead. About half of the field fell off there. Today the selection was a larger group, and of the familiar faces and kits I could see Sammi, Mandy, and Ginny. I was close enough to the GC lead to be a marked rider. Both days if I tried to go with a move, there was a chatter from the peloton; they pulled me and any group I was with back immediately. I tried attacking twice during the second race, half-knowing it was senseless, but again just wanting to assert some kind of presence in the race, if only to remind myself I was still there. The final miles were another frantic shuffle. On the straight road back into town, I balked again, this time because I was imagining a massive pack finish. With 5K to go, I think I was sitting last wheel in the group. This finish was more straightforward than the first road race, with a left turn and then a right turn before a short straightaway to the line. By the time I started moving up, it was eons too late. Stephens had put in a hard attack and shattered the field. I passed little pods of riders, and the lead pack was just in front as I made it to the final corner and sprinted by myself in no man’s land for 13th place, moving up to 8th in GC. Lauren Stephens finished first, with fellow TIBCO rider Joanne Kiesanowski in second. Mandy, displaying her skill with positioning and sprinting, took third for her first NRC podium. Day 4 – Crit of Doom. Sammi and Kat are racing. Semi wet roads no rain yet. Rider goes down on the climb. Danielle bradley rides over her and stays up! Colavita rider extending her lead. Kat and mandy still in the lead pack chasing. Kat gapped a little fighting to get back on. Theo has no idea of the stress. Just laughs and walks around as mom fights for life. Tibco the clear work horse in this race. Colavita rider's solo effort still going. Amazing job. Lauren stephens away solo now. 3 riders behind a little. Then a chase with mandy kat and about 10 others a ways back. 1 to go. Tibco colavito tibco on the podium. Lauren stephens win. Kat and mandy safe in the chase. Kat and sammi safe and happy! Sounds like Kat has preserved a top 10 placing - 6th in GC! Sammi at the crit start. If you want to get all my demons together for a party, just schedule a rainy crit on the last day of a stage race where I’m currently holding on to a top 10 position in GC. I was not-so-secretly hoping the stage would be cancelled. We’d been hearing about the tornado threat for several days. Shortly after we arrived at the race site in downtown Fayetteville, the masters’ crit was shortened by a lap for lightning. I walked the course in my street clothes, holding on to the hope that they’d just let GC stand as it was and tell us to all go home. No such luck. I put on my kit, my $2 clear safety glasses, and my lucky black socks. I consoled myself with the one thing I had going for me—the big hill on the course. I knew it would thin out the group and give me a chance to move up. For me, this race would be pure survival. We took off from the line at a sprint. Two wheels or so ahead of me, a rider had problems with her pedals or gearing, and there was a squeal of brakes and cry of indignation from the pack as she more or less stalled in the first corner. When we came back around to the big hill, a rider went down in front of Meg Hendricks, guest rider for Haute Wheels, and she rode over her BMX-style, managing to stay up. Meg Hendricks rides over a downed rider. Pride warred with fear. I wanted very badly not to do this at all, but I also wanted very badly to stay in the top 10 in GC. All I had to do, I kept telling myself, was make sure I stayed on the back of the main group. Eventually a break went off the front: Stephens, Laura Brown (Colavita), Kiesanowski, and Scotti Wilborne (TIBCO). I didn’t care; breathing as loud as a train, I was wholly focused on the wheel in front of me. But in the final meters I actually sprinted around some riders on the hill, surprising no one more than myself. I came in 10th on the stage, finishing overall at sixth in GC. Sammi, gapped after the leaders’ crash, finished 25th in the stage and 26th in the overall GC. The sense of elation that I'd felt as soon as I’d crossed the line stayed with me the rest of the day. The crit was the stage I was the most proud of. I hadn’t ridden it well, not at all, but I hadn’t given up and had accomplished more than I’d ever dreamed was possible. Maybe my demons are still with me at the moment, but at least they’ve been relegated to the backseat.